tax-exempt, are required to submit a $100 security deposit in addition to the rental fee, if applicable. *If yes, contact Clark County Health Department to acquire permit if needed prior to date of use.. I, the undersigned, for myself and on the behalf of organization designated as “Renter” herein, have read and clearly understand the terms and conditions governing the use of the Linn Park Amphitheater as set forth in this Agreement. I agree to observe and be bound by this Agreement and these regulations, and affirm that by signing this Agreement, I am agreeing to return the facility and surrounding area in a condition that is the same or better than which it was originally found. I understand that a violation of any of these rules or policies may result in a full or partial forfeiture of my deposit, rental fee, denial of future permits, and/or other civil or criminal consequences. Please call the above number or mail the City of Martinsville to request a copy of this contract. You may also email mville62442@gmail.com to receive an emailed PDF copy of this contract. 1. All reservation dates are on a first come, first served basis, and are allowed up to a year in advance of the event. 2. Reservations will not be confirmed until the Rental Agreement is completed, signed, and received by the City of Martinsville and the $100 deposit and rental fees, if applicable, have been paid. 3. Rental fees must be paid in full when reservations are made. Please submit rental fees and security deposit as separate checks. 4. Security deposit check will be not be cashed by the City unless premises are not left in good condition after the event. If facility is left in good shape with trash picked up, the check will be returned to the Renter. If there are damages or cleaning needs the deposit shall be used by the City of Martinsville to pick up excessive trash, repair, replace or pay for any property damage that occurs by the Renter or by any participant at the event hosted or produced by the Renter. Additional charges may be assessed for property damages. The unused portion of the deposit will be refunded to the Renter after the event. However, the deposit may be held at the discretion of the City of Martinsville for any period of time to determine the full extent of damages and to make all repairs, and/or secure replacements. 5. Refunds of fees and deposits require advance written notice of cancellation at least 2 weeks prior to rental date to receive full refund. For cancellations 1-13 days prior to the event a $50 fee will be charged. If the event is not held and we are not notified in advance the total deposit is forfeited. Full or partial refunds may be issued due to rain or inclement weather occurring on the actual date of the event if we have been notified of cancellation of event within 5 hours of start time. Refunds will be mailed within 5-7 business days after receiving written notice of the cancellation of the planned event. 6. If applicable, vendor permits and concessions permits should be on hand at the scheduled event. 1. ALCOHOL AND DRUGS ABSOLUTELY PROHIBITED! 2. 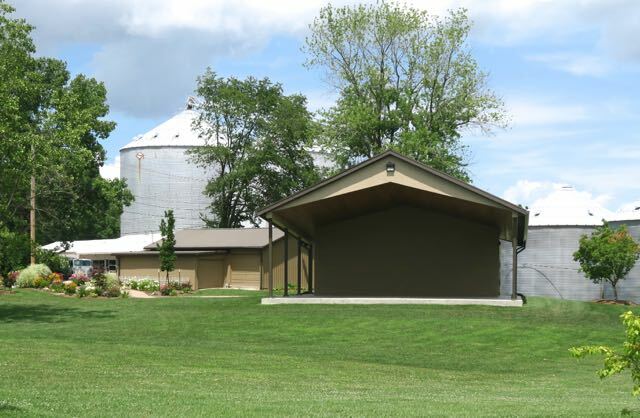 ABUSE OF POLICIES: The City of Martinsville reserves the right to refuse any group the privilege of using the Linn Park Amphitheater and other parks and recreation facilities due to the abuse of policies of the facility or the City. In addition, any group charged with an occurrence of abuse may be barred from making any further reservation, and any future reservations may be cancelled at the sole discretion of the City. 3. MISREPRESENTATION: Any misrepresentation as to the nature of the event, the number of attendees expected, contact or payment information, or any other falsification of agreement documents will result in the immediate cancellation of the event and forfeiture of all fees paid, and may also result in further legal action and/or the denial of future permit requests. 4. LAWS & ORDINANCES: Renter shall comply with all laws, whether federal, state or local, including all ordinances of the City of Martinsville and all rules, regulations, and requirements of the Martinsville Police Department and Fire Department. All Renters and participants agree to abide by and conform to all rules and regulations that may be adopted by the City from time to time, including any and all changes that might be implemented relating to the Amphitheater’s operational hours and use policies. 5. ACCESS: The Amphitheater is an open-air, unsecured, public facility. The City is not responsible for restricting access during scheduled activities. However, the Renter may charge and collect admission, and may rope off areas to facilitate the collection of admission. 6. SECURITY: The City will determine required security, including coordination with the City of Martinsville Police Department, if necessary, based on the type of event. Renter will bear all costs associated with security. 7. ELECTRICITY: Electricity (for sound and light) is provided at the Amphitheater. If electricity is required, power will be turned on for the Renter the day of the scheduled event. Renter is responsible for turning off all lights at the completion of their event. Renter will take all necessary precautions to protect the existing electrical service from overload and damage. Electrical panels may not be modified by any outside electrician. It is the responsibility of the Renter to inspect equipment for compatibility. If the Renter’s equipment is not compatible, the Renter’s equipment must be properly modified. Modifying the City’s electrical panels will result in a fine. Renter is responsible for any and all necessary repairs to the Linn Park Amphitheater electrical panels as a result of Renter’s modification or misuse. 8. DEFACEMENT OF FACILITY: No decorative or other materials shall be nailed, tacked, screwed or otherwise physically attached to the Amphitheater. 9. CURFEW: All Amphitheater activities must end by 11:00 p.m.
10. NOISE/SOUND ORDINANCE: Sound levels at the Facility may not exceed the levels established by the City of Martinsville Code of Ordinances or State Law. Should sound levels exceed the established level or cause a disturbance, or should the content tend to incite an immediate breach of the peace, the City will request that the volume be lowered or the amplification turned off. Failure to comply with this request may result in fines, arrest, termination of the event, and/or forfeiture of deposit and rental fees. 11. CLEAN UP: It is the responsibility of the Renter to properly clean the facility immediately after it is used. Any and all supplies and equipment must be removed from the premises prior to departure. Trash must be removed from the stage area, seating area and surrounding ground, and placed into trash cans prior to departure. Failure to properly clean and remove trash will result in loss of deposit. 12. INSURANCE REQUIREMENTS: Any event open to the general public requires the Renter to procure and maintain, at its sole cost and expense for the duration of this Rental Agreement, Commercial General Liability insurance in the name of the Renter for limits of not less than $1,000,000 for personal injury, death, or property damage to rented property arising out of any one occurrence. This insurance policy must cover, in addition to the general public, all entertainers, as well as their support staff, and any other individual participating in or attending the event for which the facility is rented. The General Liability insurance shall be written by a carrier with an A:VIII or better rating in accordance with the current A. M. Best Key Rating Guide, and only insurance carriers licensed and admitted to do business in the state of Illinois will be accepted. Renter must furnish proof of coverage through a Certificate of Insurance two weeks prior to the event. The City and Martinsville on the Move must be named as Additional Insureds with a waiver of subrogation. 13. INDEMNIFICATION: It is agreed that the Renter shall indemnify, hold harmless, and defend Martinsville on the Move, the City, its officers, agents, and employees from and against any and all claims, losses, damages, causes of action, suits, and liability of every kind, including all expenses of litigation, court costs, and attorney's fees, for injury to or death of any person or for damage to any property arising out of or in connection with this rental. Such indemnity shall apply regardless of whether the claims, losses, damages, causes of action, suits, or liability arise in whole or in part from the negligence of the City, any other party indemnified hereunder, the Renter, or any third party. 14. RELEASE: The Renter hereby releases, relinquishes, and discharges Martinsville on the Move, the City, its officers, agents, and employees from all claims, demands, and causes of action of every kind and character, including the cost of defense thereof, for any injury to or death of any person and any loss of or damage to any property that is caused by, alleged to be caused by, arising out of, or in connection with the Lessee’s rental. This release shall apply regardless of whether said claims, demands, and causes of action are covered in whole or in part by insurance and regardless of whether such injury, death, loss, or damage was caused in whole or in part by the negligence of the City, any other party released hereunder, the Lessee, or any third party. 15. DAMAGE TO PERSONAL PROPERTY: The City is not liable for the loss or damage of any goods, equipment, or personal items stored on or used at or around the facility premises.